OPEC’s Vienna meeting. What to expect? The attention of the global energy market is focused on the forthcoming next formal meeting of OPEC due on November 30 in anticipation of decision to boost the descending oil prices. The cartel is determined to implement a highly desirable plan to cut oil output in order to oust dominating oil glut, which is currently reagrded as one of the main problems of the market. Members of the cartel in September agreed on a preliminary deal to limit production to 32.5 - 33 millions barrels a day, effectively promising to cut production from the current level of about 33.6 million barrels. Prices initially responded positively to the preliminary consent, while doubts about the possibility of the agreement are still looming over the market. The 14-member group is expected to finalize details, deciding on how much each of its members can pump. Moreover, the cartel is now looking to secure the cooperation of non-OPEC members to help support oil prices. Policy Analyst at European Policy Centre Marco Giuli said that the negotiation is quite difficult and the big unknown is related to Saudi Arabia’s determination to strike a deal. "On the one hand, its oversupply strategy did not work: US shale proved resilient, Iran continued to increase production, and OPEC was fundamentally broken. This seems to suggest that the Kingdom strongly needs a deal. However, with discipline gone within the cartel and negative signals coming from Iraq, Libya and Nigeria, the Saudis will have huge problems of credibility vis-à-vis Russia," he said. Giuli mentioned that Moscow already stressed that before coming to an agreement with OPEC, the cartel must work out a quota allocation within itself. “If other OPEC countries smell desperation in Riyadh, they will push to let the Saudis take the largest burden in terms of production cuts, which can be good news for Russia at the condition that the burden won’t be so high that the Saudis will renounce to a deal. This will imply bigger and painful efforts to restructure the Saudi economy,” he said. A key concern is that the agreement is only preliminary and has too many uncertainties, the fact implies that the cut is not at all guaranteed. Moreover, the issue on whether proposed quota system can be sufficient for reaching a balance in the market raises additional concerns. Fresh production records from OPEC, which pumped out a record 33.6 million barrels of crude oil per day in September, became an additional indication for investors that to finalize cartel’s decision to cut production would be difficult. Doubts are also raised by the issue on how reductions will be shared and which countries will bear the brunt of the reductions given the fact that certain countries are expected to be treated as “exceptions”. The consensus, reached in Algeria provided certain exceptions for such countries as Iran, Libya and Nigeria, allowing them to produce "at maximum levels that make sense". Iran has taken serious steps to increase its oil production and oil export and reach pre-sanctions level since sanctions imposed on the country were lifted. Giuli said that Iran is important – especially as its geostrategic rivalry with Saudi Arabia complicates efforts to reach a deal. However, it is not the only problem within OPEC. At the moment, doubts arise from Iraq – which continues to pump at record levels – and from Nigeria and Libya, that due to political unrest find a large portion of their export capacity unused. They certainly do not want to take the burden of an agreement, especially in their current political predicament. 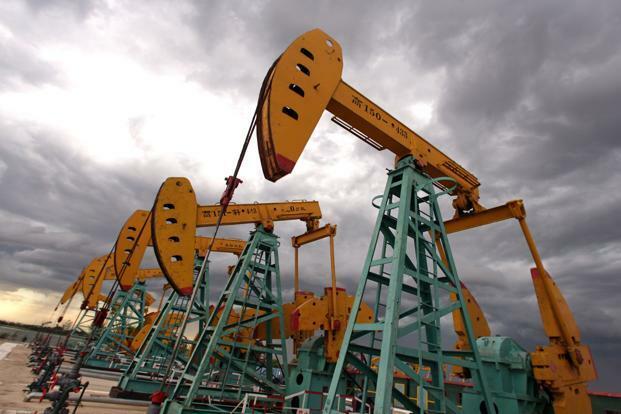 Co-director of the Institute for the Analysis of Global Security (IAGS) Gal Luft told Azernews that it is likely that the market will see additional production cuts coming from OPEC as its members suffer greatly under the current prices and are struggling to balance their budgets. "The problem is that some members are exempted from the quota cuts and are likely to increase production offsetting the Saudi-led production cuts. One example is Libya where exports are projected to double in the next several months," he said. Luft said that the year 2017 will probably be the last year Saudi Arabia and Russia will be able to tolerate low prices and the market is likely to see strong push led by them to drive the market toward some adjustment. The shortfall in new investments will contribute to market tightness. The market is also likely to see Venezuela cracking under political pressure which might drain Venezuelan oil from the market. Altogether we are going to turn a corner with prices touching the $80 mark. Moreover, the further action of non-OPEC states is also essential for the market, as drop of supply by 0.5 million barrels is expected to be reached by means of output reductions in the countries outside the group. Russian President Vladimir Putin earlier said that the country supports the recent initiative of OPEC to fix oil production limits and hopes that at the OPEC meeting in November, the idea will be embodied in an official agreement, giving a positive signal to the markets and investors. Non-OPEC Azerbaijan is also ready to support any decision aimed at increasing the oil price. Energy minister Natig Aliyev said that the country, which has not yet received an invitation to take part in Vienna meeting, will support the decision of the cartel.